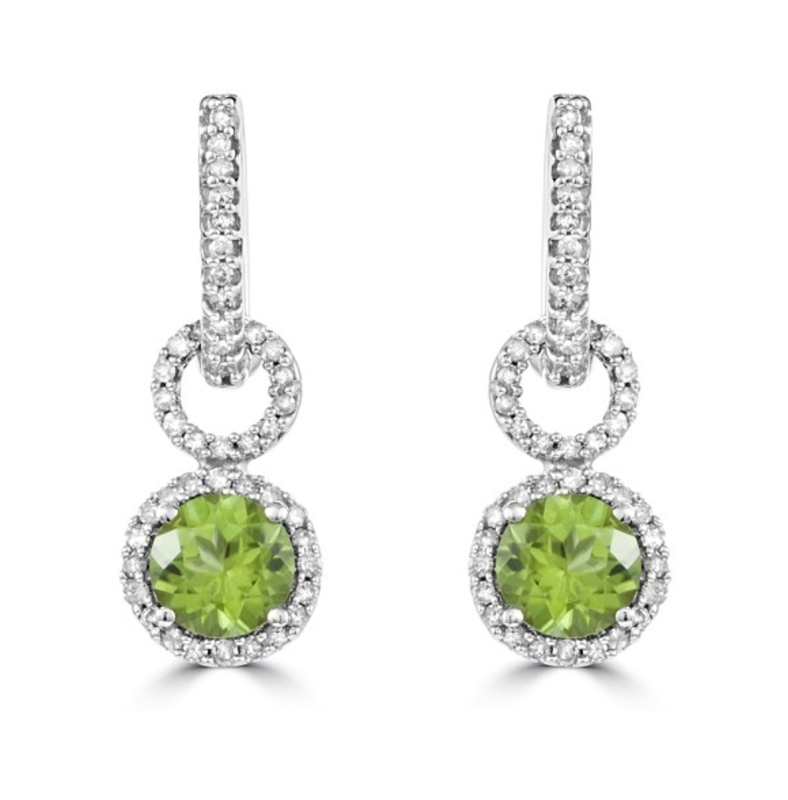 Who doesn’t love a color saturated gemstone? Also, the bigger the better right? 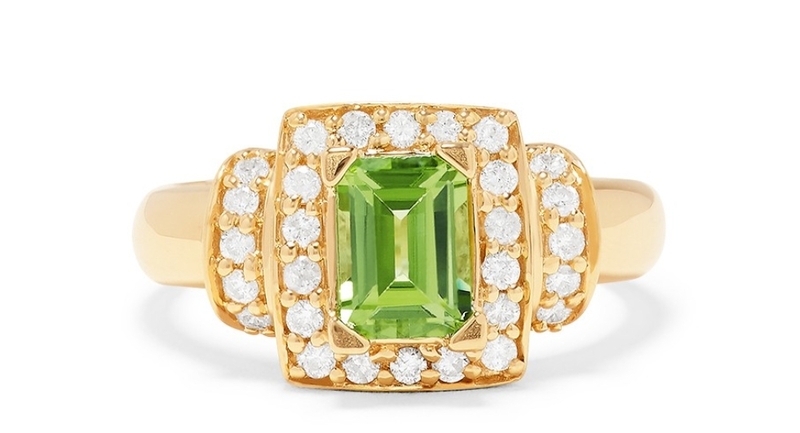 I have been so into huge gems lately, and I love that so many jewelry designers are putting them at the forefront of their collections. One gem that I just don’t see a ton of in terms of quality is Peridot. 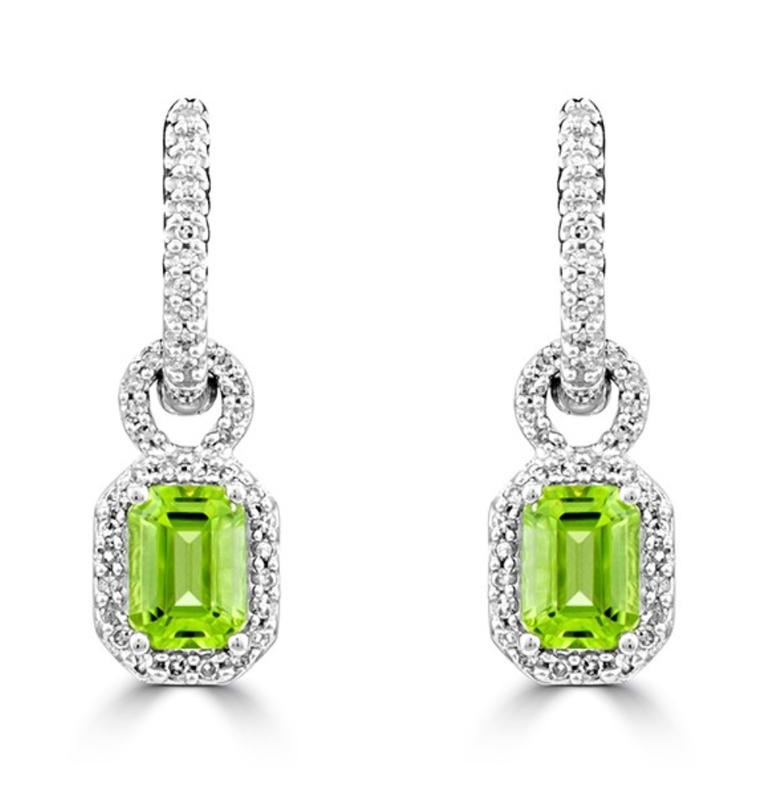 You can find it in random department store chains, but they are not the vibrant green that you would want to look for. More times than not, the stones have a brownish hue to them, or they look dull. 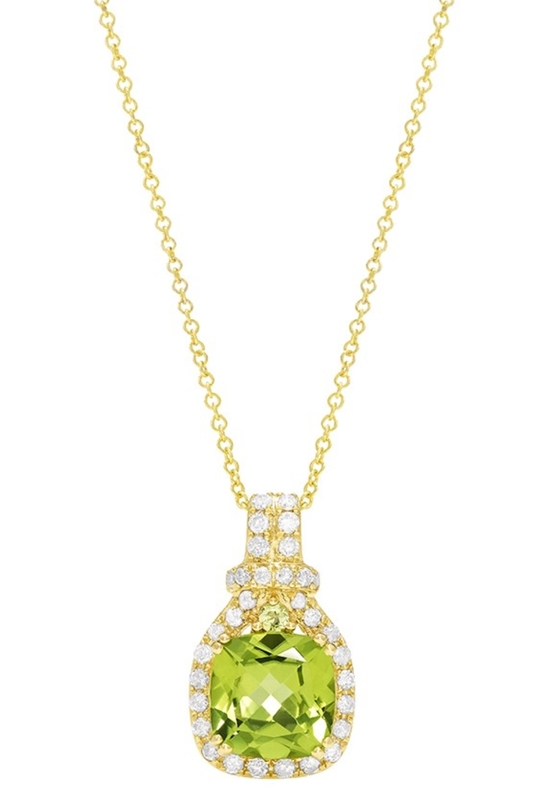 The finest and most color saturated Peridot comes in stones weighing over 10 carats, which is pretty rare. 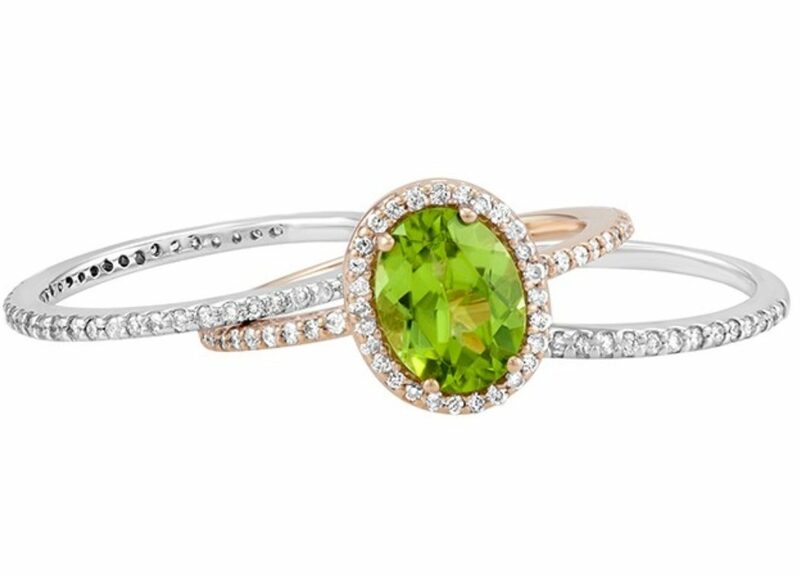 That is why I have fallen in love with the Peridot pieces from EFFY! The stones in this collection all weigh in at under 3.5 carats, but they are better quality in terms of color that I have seen. If you have a birthday in August I would be pretty excited right now! 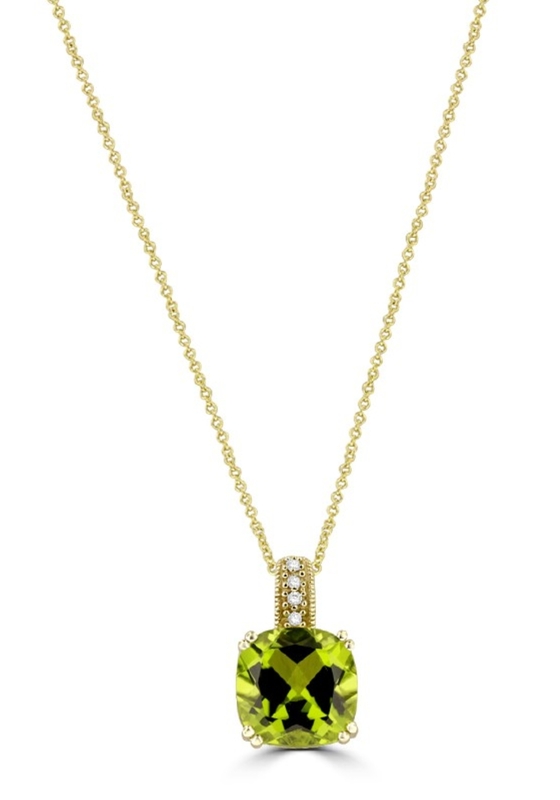 How lovely is this pendant with a halo of white diamonds? I don’t really wear drop earrings as they get tangled in my hair, but for the right occasion I would sport an updo to be able to wear these! Rose gold is absolutely everywhere, and so are multiple bands. It is all over Pinterest with the multi band look. I love that these two bands match. I am really happy that yellow gold is coming back. 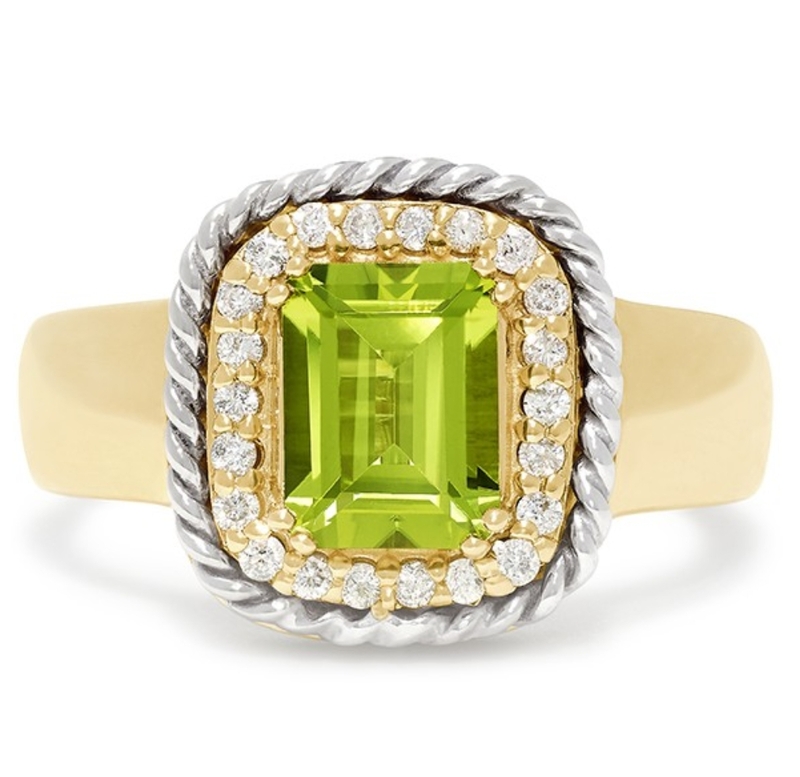 I am a two-tone lover and with a diamond halo on a yellow gold background, it gives off a two-tone look. 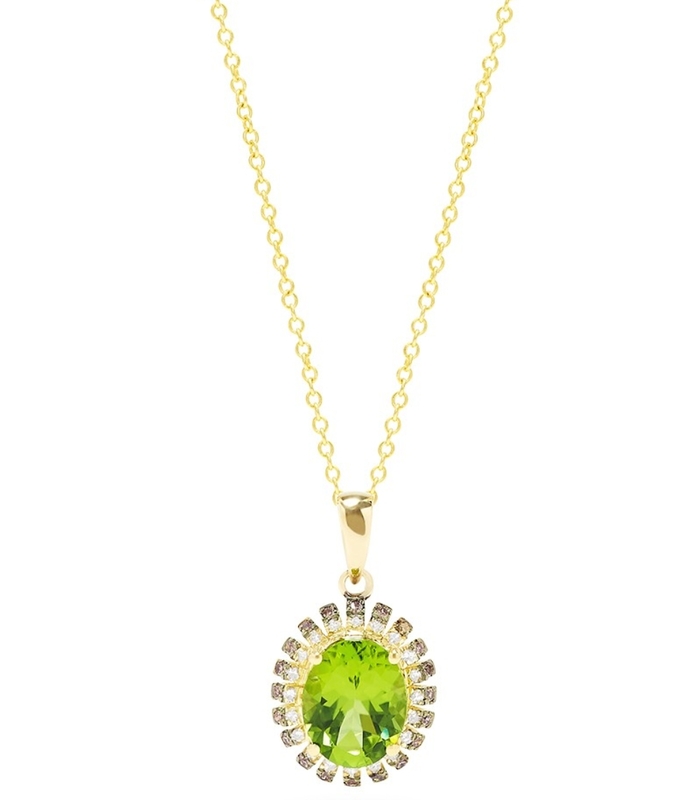 This is a smaller Peridot stone, but with this setting it looks much grander. The white gold rope accent reminds me of a David Yurman piece! This is the simplest design in the collection, but for those who love the minimalist look, this is perfect! This is the largest single stone in the collection and by far the most color saturated. This one is definitely my pick! Are you an August baby?